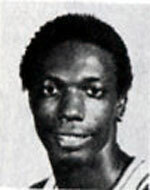 Drafted: Selected by the Golden State Warriors in the second round (42nd pick overall) of 1985 NBA Draft... Selected by the Golden State Warriors in the sixth round (121st pick overall) of 1986 NBA Draft. Bobby Lee was a good friend. I met him at the US While a senior n high school as I worked in the athletic dorm. He was approachable and often gave me advice, n rides lol. Loaned me his DJ equipment time to time etc. He was also well respected by his opponents. I was stationed n Philly n 1985 and like es there many years. I once asked Charles Barkley sometime in fall of 1989 what happened to Bobby. His response... " Bobby could run up and down the floor with the best of them, his only disadvantage was small hands." I found that strange cause not that I pay attention to other men hands lol but Bobby hands looked big enough to me. And I watched him n practice at the university and in games. He handled his own. Bobby if u see this, I hope u are happy and satisfied with what life has hi en u. Wish we could catch up with each other sometimes. Take care buddy!!! I remember Bobby Lee Hurt! I am from Alabama. Bobby Lee Hurt shut Sir Charles Barkley down in meeting Alabama VS Auburn....I enjoyed seeing Bobby Lee Hurt play. I don't hear much goog news about guys like him. Bobby may have had kids all over the place....how do you know Jeremy isn't his son ?...atleast he put his name on here. My question is why Bobby Lee Hurt never tried to prove himself in the NBA. Seriously ?...2 round picks can't demand 1st round money. Was he lazy ? Did he just want to play good enough to get paid ? I am a hugh Alabama fan. I met Bobby Lee at a resturant in Huntsville(I was the only Bama fan in our group-others were Auburn fans)Bobby Lee was extremely nice to us all. I saw him at a basketball game months later and he said you are the one with the Auburn friends.I was surprised that he remembered me. I remember bobby lee hurt! I am from Alabama. He is from my era, the late 70'tys early 80'tys....I enjoyed seeing him play. I have never met him. My dad is one of the greatest people i know, outside and inside....Luv U Dad.